NOTE: Center caps sold separately. 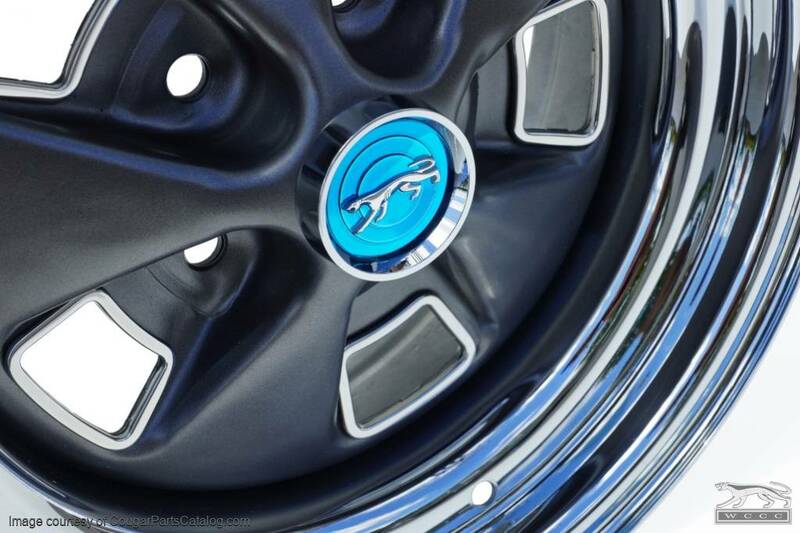 Reproduction 15x7" styled steel wheel with a chrome outer rim for your Mercury Cougar. 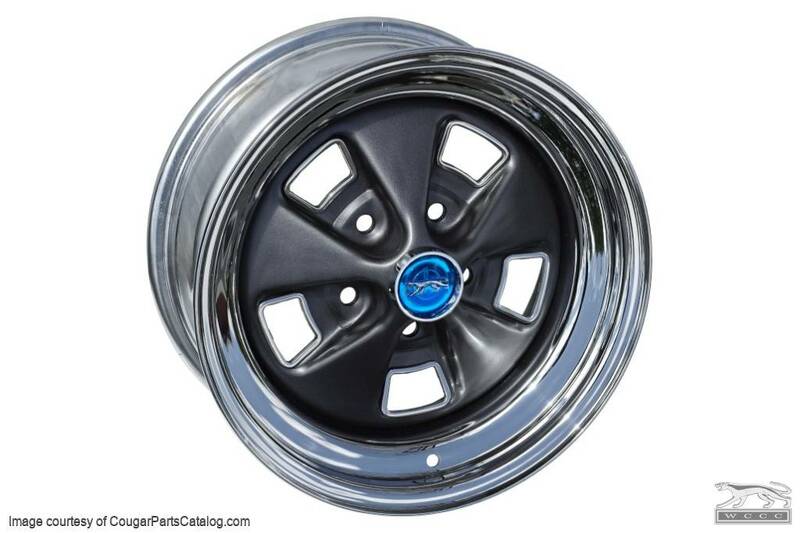 No, Mercury never offered them this way... We now sell more of these custom made SS wheels than the original 14x6" version that uses a trim ring. 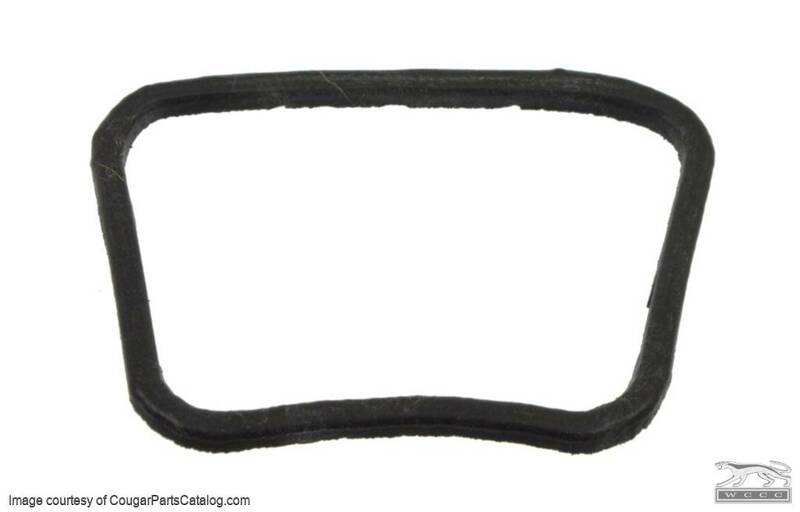 Not only do they look better and allow you to run a wider tire, you no longer have to worry about scratching costly trim rings against a curb. This is a great improvement over the original as the chrome gives a great contrast with the charcoal colored center and the 15" wheel puts the sidewall bulge of an over-sized tire just over the upper ball joint whereas the 14" with an over-sized tire will rub slightly. 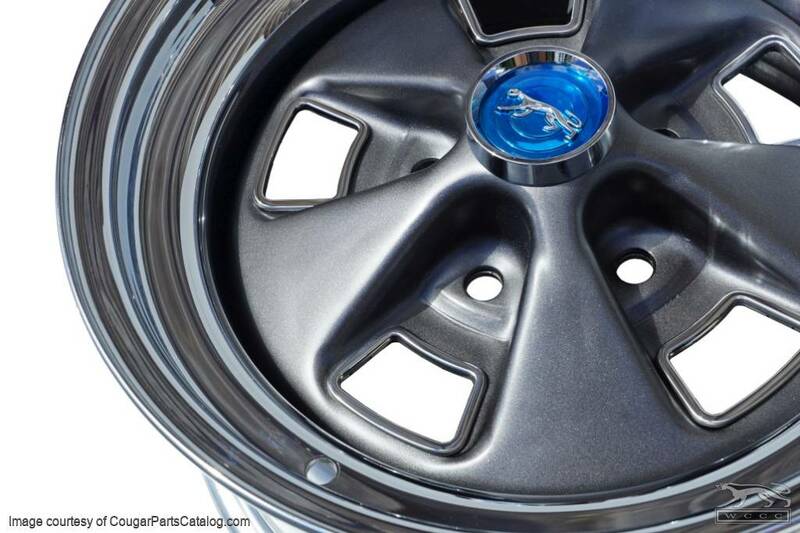 These cost hundreds of dollars less than the latest "fad" wheel and help keep that original look for your classic as well as enhance the value. The five window trim parts per wheel come un-installed for those who prefer a mirror like finish and want to spend extra time polishing them. We sell these wheels with a 4 1/4" backspace unless you specify otherwise. Caps and lug nuts sold separately. I recommend a 225/60/15" so you do not have to roll any fender lips or worry about damaging costly wheel opening moldings. If you go to America's Tire armed with Costco's price (I run BFG T/A's, white letter out) they will sell you a set for 10% less than Costco which on the T/A's runs about $340 per set of four locally. *NOTE* Please allow 4 to 5 weeks for delivery. 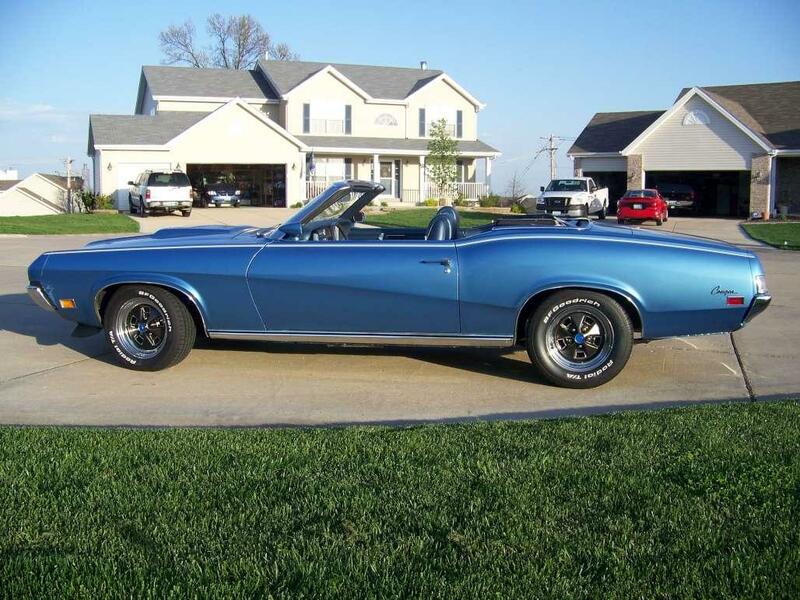 We waited a long time for these wheels but once we got them they met our expectations and look great on the car (1969 Cougar convertible). WCCC is the place to buy these. This individual wheel was sent to me as a warranty replacement. Three of the four I ordered earlier were spot on, but one simply would not balance. I put it on a Road Master balancer and it was five ounces out. WCCC honored the warranty, so all I can say is buy your wheels through Don, and be safe. I think the maker of these wheels has changed ownership and QC has slipped.